(ARCH ’42, M.S. CRP ’68), Northbrook, Ill., would like to meet with other alumni in the field of architecture and from the Class of 1942. (ME ’51), Hoffman Estates, Ill., received the Points of Light President’s Volunteer Service Award for helping to create a memorial for veterans of the Vietnam War. In addition, he served for 51 years as a village historian and secretary of the Board of Fire and Police Commissioners for the Village of Norridge. (EE ’56, M.B.A. ’70), Rapid River, Mich., is a retired electrical engineer and a great-grandfather. He discovered Waterdust, which is an application for cleaner water. (DSGN ’56), New York, N.Y., has been creating mixed-media paintings, drawings, and sculptures for 70 years. Leaf’s solo exhibition, Thought Is Infinite, was displayed last year at the Whitney Museum of American Art in New York. (CHE ’61), Las Vegas, published his third book, The Science of Ethanol. He is involved in the universal blood (Type O negative) project, developing a universal blood from stem cells using bioreactors, thus avoiding donor blood. (ARCH ’61, M.S. CRP ’62), Wheaton, Ill., completed the fifth edition of Readings in Urban Planning and Design. The free e-book is a compendium of 60 papers and more than 250 images. (ME ’63, M.S. GE ’66), Wayzata, Minn., professor of mechanical engineering at the University of Minnesota, Twin Cities, received the 2017 American Society of Mechanical Engineers Edwin F. Church Medal for his outstanding and continuous contributions to mechanical engineering education, research, and service. His work has impacted all facets of mechanical engineering education, including thermal engineering, the engineering curriculum, and design modalities. Through innovative initiatives, Kulacki was a pioneer in establishing and embedding computer-aided design and education in mechanical engineering at three universities. (PS ’64), San Francisco, is in his 49th year practicing tax and corporate law. He recently retired as an elected board member of the Moraga-Orinda Fire District, after more than 13 years in office. When added to his previous 21 years as an elected member of two local school districts, Weil has served his community for more than 34 years. (LAW ’65), Indianapolis, recently chaired the Uniform Law Commission Drafting Committee to revise the Model Tribal Secured Transactions Act, which is now available for adoption by Native American Tribes. (BE ’66), Arlington, Va., retired from the United States Department of Energy, where he was the deputy assistant secretary for policy analysis. He was appointed co-director of the Istanbul International Center for Energy and Climate at Sabanci University. He received his Ph.D. from the University of Pennsylvania. (CHEM ’68), Houghton, Mich., retired as professor of chemistry from Michigan Technological University after more than 37 years of teaching and research. He is known for applying Raman spectroscopy to study nonstoichiometry in solids such as nickel oxyhydroxide, the active material in nickel battery electrodes. He continues to stay active in research. (CE ’69, M.S. ’71), Buffalo Grove, Ill., was interviewed for the 105.5 FM Tech Scene Chicago radio program, where he discussed engineering and the Illinois Tech DuPage Area STEM Expo. He has participated in the expo since 1990, and hosted the structural engineering exhibit this year. (DSGN ’69), Chicago, co-presented “Using Art to Affect Social Change” at the College Art Association National Conference in New York. (ES ’70), San Diego, sold his accounting practice and is now managing apartment real estate on a full-time basis. His son Aaron is a freshman pitcher on the Westmont College NAIA baseball team. (M.S. 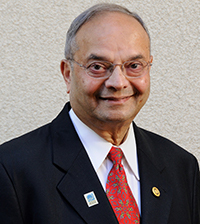 CHE ’70, Ph.D. ’75), Naperville, Ill., received a Lifetime Achievement Award on behalf of the Blind Foundation of India from the Association of Indian Institute of Technology Banaras Hindu University Alumni. The foundation’s work was also recognized in the magazine DesiLife and Times. (MAE ’71), Pingree Grove, Ill., and his wife, Eileen, have retired. They relocated to be near their daughter so they can watch their grandchildren grow up. (M.S. PHYS ’72, Ph.D. ’82), Frankfort, Ill., assumed the role of president-elect of the American Association of Physics Teachers. He is the program chair for the AAPT meeting to be held in July in Cincinnati. Ramsey has been a professor of physics at Loyola University Chicago for 35 years. He is married and has a son and three grandchildren. (BIOL ’73, M.S. 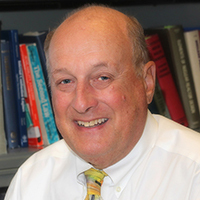 ENVE ’74), Philadelphia, was honored with a Distinguished Achievement Award from the Society for Risk Analysis for his development of the field of quantitative microbial risk assessment. (FPSE ’73), Gallatin, Tenn., is founder of InsuranceCommentary.com, where he blogs on critical issues in the property and casualty insurance industry. He has two books scheduled for publication in 2017 and four others planned over the next two years. In his spare time Wilson boats, reads, and rehearses with his classic rock and blues band, The Old Dogs. (PS ’75, LAW ’78), Madison, Wis., retired from his partnership with global immigration firm Fragomen after a nearly 30-year career with its Chicago, Michigan, and Dubai offices. He remains senior counsel to the firm. Cooper has since established Immigration Compliance Associates, which focuses on employer immigration compliance, and international student and exchange visitor program auditing and representation. He also serves on the board of the nonprofit Madison International Partners, an exchange student and scholar hosting organization. (M.B.A. ’75), Vestavia, Ala., retired from Vulcan Materials Company, where he served as executive vice president and chief financial officer. He currently serves on the boards of directors of Ingevity Corporation and AdvanSix Inc.
(ARCH ’77), North Fort Myers, Fla., is a practicing architect and partner with Parker/Mudgett/Smith Architects. He is the state representative and past president of the Florida Southwest Chapter of the American Institute of Architects, as well as Region 4 director of the Florida Design Out Crime Association. Patak also serves on several local advisory committees, including Florida SouthWestern State College and Fort Myers Technical College. He earned an M.B.A. and doctorate in business administration from California Coast University. Patak and his wife, Denise, have been Florida residents since 1977. (LAW ’78), Chicago, joined the Chicago office of Quintairos, Prieto, Wood & Boyer as Healthcare Regulatory and Technology Practice chair. (LAW ’79), Durham, N.C., along with her husband, Professor Emeritus Philip Hablutzel, continue to enjoy North Carolina. Philip continues as director and chair of the Institute of Illinois Business Law at Chicago-Kent College of Law. Nancy is finishing her last few cases as Guardian ad litem in Adoption Court. She was honored with a proclamation at the National Adoption Day celebration last year. The couple continues to be active with the North Carolina Opera. (IE ’80), Chicago, recently published his first novel, We Don't Own Our Memories Anymore, about the implications to individuals and businesses of how they choose to use technology. (M.A.S. CRP ’80), Orland Park, Ill., was inducted into the College of Fellows of the American Institute of Certified Planners. (CE ’81, LAW ’95), Palatine, Ill., is general counsel for fitMS NeuroBalance Center, a nonprofit providing services to people with multiple sclerosis, Parkinson’s disease, and other chronic, progressively disabling conditions. The organization is raising funds for a new building in Barrington, Illinois. (LAW ’83), Chicago, is celebrating 25 years as president and chief executive officer of Attorneys’ Title Guaranty Fund. (CS ’84), Tarzana, Calif., was inducted into the Sports Broadcasting Hall of Fame in December 2016. She is chief executive officer of her consulting firm, the G.A.P. Media Group, as well as a life coach and wealth-management professional. Berry worked for 20 years at FOX Broadcasting Company in various positions, most recently as senior vice president for Broadcast Media Services. Berry is on the Illinois Tech Board of Trustees and is chair of the Alumni Association Board of Directors. (M.S. DSGN ’84), Evanston, Ill., was elected vice president of planning and organization for the IEEE Systems, Man, and Cybernetics Society (SMCS) after serving for four years as SMCS vice president for Human-Machine Systems. As a principal scientist, he leads the Cognitive Solutions Group at Applied Research Associates, an 1,100-member science and engineering consulting firm working primarily in the high-risk and high-hazard sectors. (Ph.D. ME ’85), Toulouse, France, was named director of Arkema’s board of directors in February. 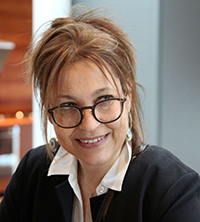 She was named chief executive officer of the aviations company Groupe Latécoère in 2016. (EE ’85), Schaumburg, Ill., recently completed a three-month job assignment in São Jose dos Campos in São Paulo, Brazil, in support of new aerospace development and flight testing. (LAW ’86), Chicago, was installed as chair of the Illinois Judicial Council. (LAW ’86), Big Sky, Mont., was appointed president, chief executive officer, and member of the board of directors of FTD Companies in March. He has been at the forefront of multichannel, consumer-driven retailing for more than 20 years. Walden served as chief executive officer of Home Retail Group, the United Kingdom’s leading home and general merchandise retailer. He was also managing director and chief executive officer of Home Retail’s principal division, Argos. (M.S. CS ’87), San Francisco, is vice president of applications development and architecture at Pan-American Life Insurance Group. (M.S. BIOL ’88), Scottsdale, Ariz., was appointed chief financial officer of Toggle, a startup that joins cognitive neuroscience and the Internet to accurately predict both positive and negative subconscious or latent preferences. (ARCH ’89), Chagrin Falls, Ohio, president of J. Hershey Architecture, opened two new offices in Philadelphia and Orlando, Florida, in April 2017 for a total of four offices, including the Chicago and Cleveland locations. William Levernier (ARCH ’76) and Robert Utyro (ARCH ’92) are members of the professional staff. The firm’s focus is to use the technical problem-solving skills as taught at Illinois Tech to assist residential community associations such as those for suburban townhomes and urban high-rise condominiums with capital-improvement needs. (EE ’89), Flossmoor, Ill., senior manager of sales operations at AT&T, received a Special Recognition Black Engineer of the Year STEM Award in 2017. (Ph.D. CS ’91), Kenosha, Wis., was named an Attorney of the Year for 2017 in Illinois by Corporate Vision magazine. (LAW ’91), Rye Brook, N.Y., joined PricewaterhouseCoopers LLP as a tax partner in the Personal Financial Services Practice of the firm’s New York office, where he provides comprehensive tax and financial planning services. He was also re-elected to the executive board of the Society of Trust and Estate Practitioners. (EE ’92), Saratoga, Calif., was a speaker at the Parks Associates 21st annual CONNECTIONS: The Premier Connected Home Conference in May. The executive conference focuses on ways to engage consumers and grow revenues in the converging IoT industries, including smart home, connected entertainment, and mobile ecosystems. (ARCH ’93), Grayslake, Ill., is senior vice president of operations, integration, and optimization for Advocate Health Care, the largest health system in Illinois, including 12 hospitals with more than 3,300 beds. Under his direction Manshum has centralized facilities, which has saved 27 percent in annual operating costs and decreased energy consumption by 20 percent. (M.A.S. ARCH ’93), Lisle, Ill., federal program principal for HDR, Inc.’s Chicago office, has been named a fellow of both the Society of Military Engineers and the American Institute of Architects. (LAW ’94), Chicago, is the new chief executive officer and president of Planned Parenthood of Illinois. (CS ’97), Keller, Texas, is working with an international team of volunteers to analyze and automatically index large collections of ancient Korean genealogical records. (M.A.R. ARCH ’98), Chicago, after 30 years of practicing architecture, has returned to Illinois Tech to pursue her Ph.D.
(LAW ’98), Northbrook, Ill., is managing attorney for the Illinois offices of Marks & Klein, LLP, representing, counseling, and advising clients across numerous industries on general business, transactional, and litigation matters. Bleiman was recognized as a Legal Eagle, one of the nation’s leading franchise attorneys, in the April 2017 Franchise Times. (CS ’98, M.S. ’98), Rowlett, Texas, was made a partner at Tech Wildcatters, an accelerator and seed-venture capital company. He was also appointed to the board of directors of SD3D, an automations technology company specializing in 3-D printing solutions. (LAW ’98), Glencoe, Ill., was voted a shareholder of Polsinelli and named chair of the Trademark, Copyright, and Branding Group. (M.A.S. TSEC ’99), Brea, Calif., recently relocated from Bangalore, India. (LAW ’00), Scottsdale, Ariz., is chief executive officer and president of Premier Resources Group, Inc. and contributes two decades of experience in staffing, outsourcing, and contingent work-delivery models. In 2005 Bertoglio founded LawyerLink to address the many challenges facing the temporary legal workforce. She also innovated managed-service models and leveraged technology to support litigations for several Fortune 100 companies. (LAW ’00), Chicago, was named managing partner of the Chicago office of Nixon Peabody LLP. He will continue his corporate and securities law practice while leading the firm’s efforts to expand in Chicago. (M.S. PHRD ’00), Arlington Heights, Ill., has been employed at the Walgreens corporate headquarters for nearly six years and received a 2016 Champion of Champions Engagement Award. (LAW ’00), Chicago, is chief information officer and co-owner of SIEMLY, a cybersecurity services management firm. He also serves as vice president of consulting and business development at the e-discovery consultancy, BlueStar Case Solutions, Inc., and sits on the Technology Sub-Committee of the Seventh Circuit eDiscovery Pilot Program. Gustafson is an avid outdoorsman and is active in his community of Hinsdale, Illinois, where he resides with his wife, Heather, and two children, Brady and Annie. (LL.M. MAL ’02), Boston, Mass., is vice president of marketing development at IOC Television & Marketing Services SA, the commercial arm of the International Olympic Committee, in Lausanne, Switzerland. He is responsible for the strategic development of the worldwide Olympic partnership program, negotiating deals for sponsorships with companies such as Coca Cola, VISA, and Toyota. (LAW ’03), Waukegan, Ill., is chief compliance officer at Tower MSA Partners. (ME ’03, AE ’03), Rockford, Ill., is director of operations for actuators and specialty valves within the Aircraft Turbine Systems Division at Woodward. He is an independent designer, manufacturer, and service provider of control solutions for the aerospace and industrial markets. Hunter joined the company in 2002 as an engineering intern, holding various positions within the company. A Licensed Professional Engineer in Illinois, Hunter is currently enrolled in the M.B.A. program at the University of Wisconsin. (LAW ’03), Chicago, actor and film producer, served as the emcee for the 2017 Women’s March on Chicago. Her feature film Signature Move had its world premiere at the 2017 South By Southwest Film Festival. Mirza was named a 2016 White House Champion of Change for Asian American and Pacific Islander Art and Storytelling. (M.Des. ’03), Las Vegas, gave birth to her first child, Nicolas, in March. (CPE ’03), Bangalore, India, joined the board of directors of Unacademy, India’s largest free online-learning platform. (M.S. EE ’04) Haryana, India, is chief product and technology officer of Housing.com. Jain focuses on strengthening the product and engineering aspects of the business to help steer the company toward its goal of becoming a full-service transaction player. He has more than 14 years of experience in the technology and digital domains in India and the U.S.
(PSYC ’05, M.B.A. ’14), Chicago, Illinois Tech director of student accounting, was quoted in the Huffington Post about money questions that international students should ask themselves before traveling abroad to attend a U.S. university. (M.Des. ’06), Houston, launched the new venture Alcove, a sleek laptop case that transforms into a mobile workstation. (M.A.S. MAE ’06), Boston, spoke at the SMi Pre-Filled Syringes East Coast conference and exhibition in April. (LAW ’06), Louisville, Ky., is a director and member of the Intellectual Property Practice Group at Middleton Reutlinger, which focuses on patent prosecution, particularly in the areas of software, medical devices, medical technology, and robotics. Shumaker’s wife practices veterinary medicine. The couple have a boy and a girl. (BME ’06) and George Skountrianos (AMAT ’07), Chicago, welcomed their first child, Alethea, in September 2016. (M.B.A. ’06, M.D.M. ’14), Chicago, is co-founder of Light Phone, a credit-card-sized mobile phone that is meant to be an extension of a smart phone. (EE ’07), Oak Park, Ill., completed the first phase of HDTV control-room design for a 24/7-programmed TV channel in Addison, Illinois, and has migrated the web stream of the channel to HD. (LAW ’07), Albuquerque, N.M., joined the staff of the American Civil Liberties Union of New Mexico as an attorney and criminal justice advocate. (LAW ’07), La Grange Park, Ill., is chair of the Illinois State Bar Association’s Young Lawyers Division. (LAW ’09) and Julia D. Riedel Emfinger (LAW ’10), Chicago, welcomed their first daughter, Abigail, in January. Brian is now principal shareholder in Banner & Witcoff's Chicago office; he joined the firm in 2012. He concentrates his practice on preparing and procuring patents in the computer, mechanical, and electromechanical fields with particular emphasis in computer- and software-implemented inventions. He also has experience providing legal and technical support during patent enforcement, various phases of patent litigation, and IPR proceedings. (LAW ’09), Naperville, Ill., was promoted to partner at Fitch, Even, Tabin & Flannery, where he has worked since graduating from Chicago-Kent College of Law. His oldest daughter started kindergarten. (CPE '09), West Bengal, India, founder of Kolkata Ventures, promotes, incubates, and funds innovative entrepreneurs. 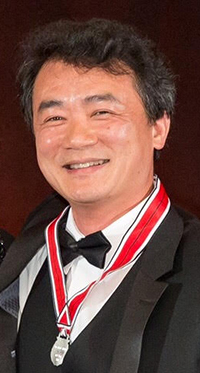 Roy holds three technology-related patents, and was invited to speak on entrepreneurship education at the White House after receiving honors from the California State Senate. He has set up several businesses in the United States and abroad, including Pongworks and Acumen Dynamics. (M.S. PHRD ’09), Chicago, senior vice president and head of diversity and inclusion learning for Bank of America, is one of the Top 15 Business Women in Illinois as recognized at the 2017 Illinois Women’s Conference . (NST ’10, M.A.S. ITM ’12), Elgin, Ill., joined Mondelez International in 2012 and is currently senior manager for forensic technology and e-discovery. Mondelez International is a global confectionery, food, and beverage company. (LAW ’11), Naperville, Ill., was appointed co-chair of the Software and Business Methods Practice Group at McDonnell Boehnen Hulbert & Berghoff LLP, where he has been an attorney since graduating from Chicago-Kent College of Law. (LAW ’11) and her husband, Matthew C. Douglas (LAW ’11), Chicago, welcomed their daughter, Marina Zoe, in March. 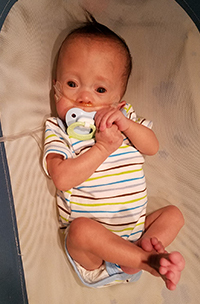 Two days after the baby’s birth, Matthew second-chaired a seven-day employment discrimination trial in the Northern District of Illinois and won a six-figure verdict in favor of his client. Alexis is an associate at K&L Gates, a practice that focuses on trademark and copyright law. (LAW ’13), Chicago, an associate with Faegre Baker Daniels, received the Award for Outstanding Pitch from the Chicago Committee. St. Clair won for her formal business pitch in response to a mock request for qualifications to real in-house attorneys. (ARCH ’15), Dallas, is research coordinator and information designer at HKS. (LAW ’16), Chicago, married Lydia Ness (LAW ’16). Andrew is content manager at Illinois Legal Aid Online, and Lydia is an Equal Justice Works Fellow at Equip for Equality, focusing on human trafficking of people with disabilities. (Ph.D. ARCH ’16), Chicago, is a licensed architect in Illinois through the National Council of Architectural Registration Boards.